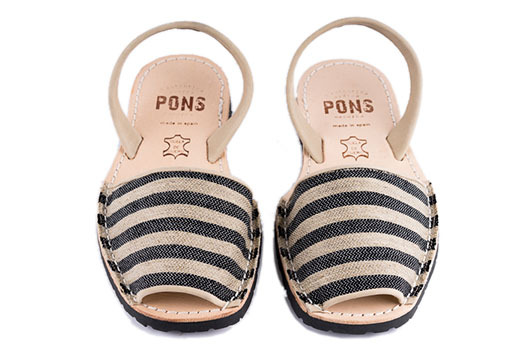 Let your style hit the streets in these classy but casual canvas sandals! 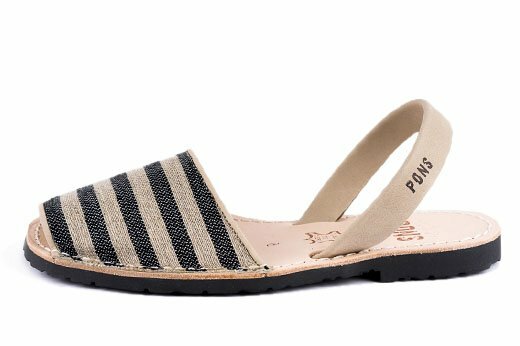 These Black Stripes Pons are the perfect compliment to cuffed skinny seans paired with a white tee in summer or a chunky sweater in cooler months. Handcrafted in Menorca by local artisans, our durable & versatile avarcas are made with high quality woven canvas, all-natural leather lining and heel straps, and have a lightweight rubber sole.